Dr. Angelo Tellis, the regenerative medicine specialist behind New Bern, NC’s Aegean Regenerative Medicine, is now seeing patients who reside in the Triangle Area, right here at Azura Skin Care Center in Cary. He offers all natural, high tech procedures with a European flair to meet your cosmetic and orthopedic needs! Dr. Tellis’s procedures are less invasive than traditional plastic or orthopedic surgery with much less downtime and recovery. He specializes in liposuction and lipo-transfer, PRP and stem cell therapies for skin renewal and joint health, as well as internal radio frequency (RF) for skin tightening. Internal RF can be used in just about any area of the body that someone wants to tighten. The most popular areas are lower face and neck, upper arms, lifting of the breast, abdomen, buttocks and above the knees. What Is Internal Radio Frequency Skin Tightening and How Does It Work? Some of you know that at Azura we perform external radio frequency skin tightening treatments with our Exilis device. The Exilis works on the outside of the skin to stimulate collagen through RF heat and does a great job for small problem areas or larger areas that do not need as much tightening. Internal radiofrequency is a bit different as it passes under the skin. How do you do that you ask? Dr. Tellis makes a small hole with an 18-gauge needle, numbs the area of treatment, then passes the probe through to the dermis. The probe then heats the tissue through radio frequency which activates the collagen to stimulate and grow. 42 to 43 degrees Celsius is safe on the outside of the skin with external RF devices, such as our Exilis device. 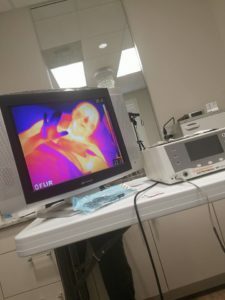 Internal RF, because it bypasses the epidermis, can get to 65 degrees Celsius or higher safely with more stimulation and tightening. So, why would you choose one over the other? 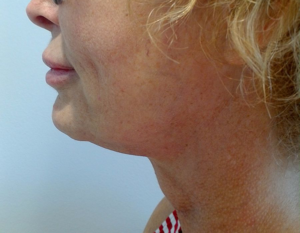 Exilis, external RF, is great for someone that needs mild to moderate tightening and wishes to have zero downtime. You do need to have more than one treatment, 2 to 4 is the average, and you may need to repeat this in 1 to 2 years. Usually, the treatments are spaced 7 to 10 days apart. The cost for these procedures are typically less than internal RF treatments. 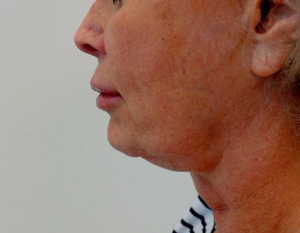 Internal radiofrequency treatments can be used as prevention and early intervention in even mild skin laxity, but for someone with moderate to heavy skin laxity, this may yield a better result without having to have a face lift. There will be some swelling that will last anywhere from 2 to 7 days and you may experience some bruising. When a client is chosen properly, you can expect to only have one treatment done, sometimes 2 treatments but spaced much further out, usually 6 to 12 months. Maximum tightening can be seen between 3 and 6 months and the results are expected to last 2 to 5 years. A nice added bonus is that radio frequency, external and internal, can also reduce fat in small amounts. Have no fear, if there is a larger area of fat you are wanting to get rid of during your internal RF treatment, a small cannula can be passed through the same treatment area and liposuction can also be performed during your RF treatment. Sweet! 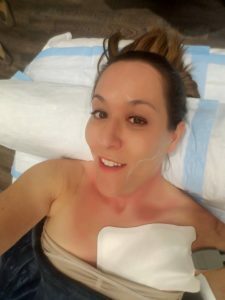 Jennie Kowaleski, our resident PA-C, has the hard job of making sure all our treatments are safe for patients, so she decided to give it a try. 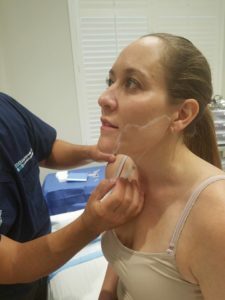 She had noted that her jaw line was beginning to get a bit… shall we say… less than tight, and she decided to have Dr. Tellis treat her lower face, jaw and under the chin with internal radio frequency to keep her skin smooth and firm. It’s a tough job but Jennie is happy to do it. So What Does Jennie Think? Check out Jennie’s photos from before and during! Jennie was not given any medicine for pain as none is needed, was only numbed with Lidocaine, and said she felt no pain at all during the procedure! Be sure to check in with her next time you are at Azura and see what progress is being made. For some, this is a great alternative to a facelift or more invasive surgery. Watch the video below from Jennie’s procedure for more on how it works. 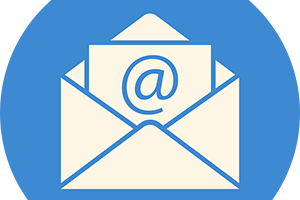 Give us a call at 919-307-8033 or request an appointment online.